The socketed saucer, introduced in 1759, is often confused with a trembleuse saucer. The latter refers to a saucer, often found in a travelling service, with a raised lip encircling the cup emplacement. 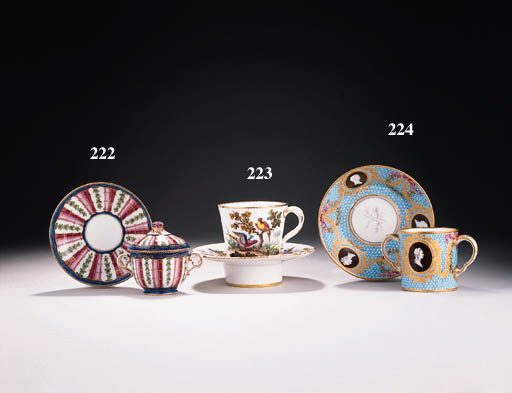 See Rosalind Savill, The Wallace Collection: Catalogue of the Sèvres Porcelain, London, 1988, vol. II, pp. 674-675 for a discussion of the shape which was produced in two sizes.